Translations from Serbian to German and translations from German to Serbian. Popovic Translation Company provides translation services from German into Serbian and from Serbian into German, with our without certification. 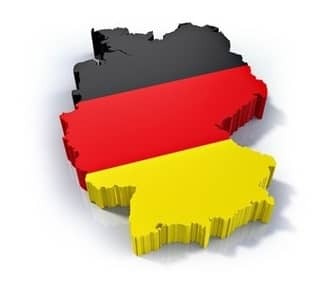 Translations by our sworn translators certified for German are legally valid documents fully true to the original text. Our translation company guarantees excellent quality of translation services in all specialized areas. We translate and certify all types of documents by following the standards of the Serbian Association of Scientific and Technical Translators. We deliver accurate translations, a fast service and always meet the set deadlines. Each document is formatted, proofread and translated so that once it reaches the final stage it is a perfect rendition of the original text. You may contact us for translations of all types of official documents - resolutions, confirmations, statements, certificates, contracts, school certificates, diplomas, licenses, visa applications, reports, birth, death and marriage certificates, authorizations, passports, certificates of citizenship, driving licenses, extracts from registers, etc. The German language belongs to a group of Germanic languages and is a native language of the largest number of the European Union citizens. There are considerable differences in its dialects. Our translators can easily handle the numerous differences in various dialects of German. Certified translators working with German are language professionals authorized to provide a certified translation of a document. As sworn translators, they attest that the translated text is fully true to the original.